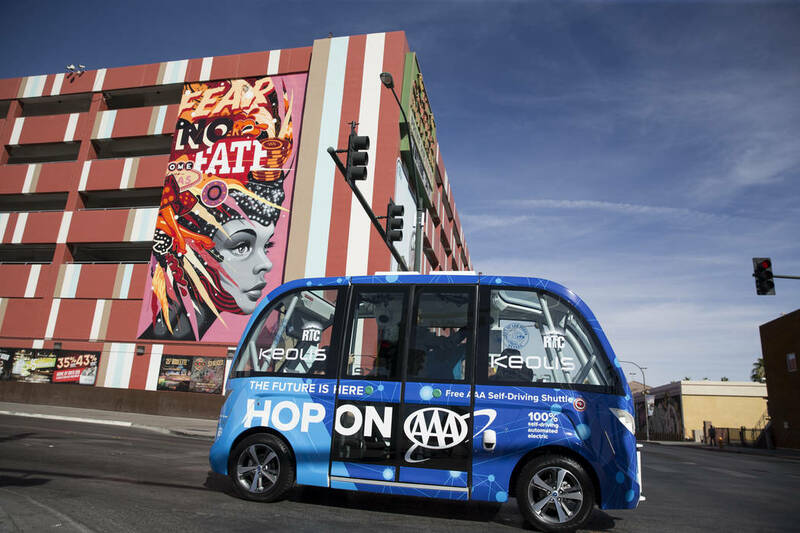 Las Vegas this week became the first city in the US to integrate a self-driving shuttle bus into its regular flow of traffic. Unfortunately, things got off to a bit of a rocky start. The shuttle, developed by French start-up Navya and operated by private transportation company Keolis, was involved in a minor traffic accident within its first hour of service. According to local news station KSNV News 3 Las Vegas, a semi-truck operated by a human driver accidentally backed into the shuttle. A representative for the city of Las Vegas said the shuttle was grazed by a delivery truck. The shuttle’s sensors registered the truck and performed the correct actions, the rep said, by stopping to avoid the accident. Unfortunately, the semi didn’t stop and tapped the shuttle’s front fender. The driver of the semi-truck was cited by the Las Vegas Metropolitan Police Department. As is seemingly the case with most accidents involving driverless cars, human error was to blame. That said, some are questioning the autonomous vehicle’s roadworthiness since it was apparently unable to back up or try and turn to avoid the collision. The shuttle operates on a 0.6-mile loop around downtown Las Vegas and offers free rides to both locals and visitors. It has seating for eight (complete with seatbelts) and can reportedly brake manually in case of an emergency.